Need to get a concrete floor leveled out? You have come to the right place. We deliver high-quality service with our concrete floor leveling experts who are experienced in providing concrete floor leveling services to both domestic and commercial buildings. It’s important to make sure you have a perfectly level surface. If you are planning to lay down ceramic tiles or any other floor coverings, you want to ensure that the subfloor is nice and leveled so that you can lay down your tiles without any imperfections. These imperfections can force tiles to stick out and can cause trips or cracking that decreases the life of your new tiles. 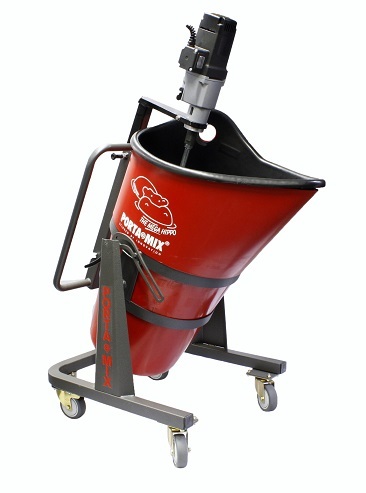 With our concrete leveling service, we use a self-leveling compound which we mix with water in our Portamix Hippo Mega Mixer to create an even consistency and then pour over your floor surface. Once it’s dry enough, we will then go over and smooth out any imperfections. This is ideal for smoothing out concrete floors and filling in small dips and cracks upon the surface as it is fast to implement and is reasonably priced. Imagine coming back home or into your workplace to a nice an smooth concrete floor free from cracks, dips and imperfections. When you hire us for concrete floor leveling, leveling for vinyl, vinyl plank and timber floors, you will be removing problems from damage that has been done to your subfloor this can be from anything such as water damage, dropping heavy items on the floor or damaged caused by the removal of floor coverings. At Totally Stripped, we are quick when it comes to completing projects and aim to leave as little footprint on your day as possible. We will also clean up all rubbish and any mess we have created during the job so that you can relax and not have to stress about disposing of any waste or cleaning up after we have finished.